UMP | University of Minnesota Press Blog: The BDS movement and the front lines of the war on academic freedom. The BDS movement and the front lines of the war on academic freedom. I had been involved in organizing in support of the academic boycott resolution with the ASA’s Academic and Community Activism Caucus (along with Bill Mullen Jr., Jordana Rosenberg, and Malini Schuller, as well as David Lloyd, Cynthia Franklin, Kehaulani Kaanui, Steven Salaita, Neferti Tadiar, Robin Kelley, Salah Hassan, and many other committed scholars). The idea of a resolution was initially suggested by American Studies scholars who visited Palestine on a delegation I helped organize in January 2011. We knew that the academic boycott would encounter resistance from supporters of Israel and defenders of its apartheid and settler colonial policies who are increasingly unsettled by the growing global BDS movement. Yet the strength of the BDS movement is that it actually doesn’t presuppose a radical politics and relies on the liberal precepts of international human rights law, calling on international civil society—including academics—to boycott Israeli institutions and government-sponsored projects until the Israeli state abides by international law. Simply put, the double standard for Israel upheld by the U.S. must end. The U.S. academy has long been a site where the exceptionalism of Israel has been maintained by self-censorship as well as active campaigns of censorship against any who dare challenge the Israeli state’s military occupation and racially discriminatory policies against Palestinians and non-Jews, as discussed in several essays in The Imperial University. So the AAAS resolution and the ASA vote were groundbreaking events in shattering what Edward Said called the “last taboo” in the U.S. public sphere. What I had not anticipated myself before the ASA conference in November 2013, where panels and town hall meetings were held to encourage public debate about the boycott resolution, was the groundswell of support for the academic boycott and solidarity with the Palestinian people. What was so moving – and visibly staged for all to see – at the town hall meeting organized to discuss the resolution was the testimonials by numerous scholars in ASA, including untenured faculty and graduate students as well as undergraduate students, about why they supported ASA because of its principled commitment to opposing military occupation, apartheid, and settler colonialism. This was most eloquently expressed by scholars working on issues of U.S. settler colonialism and in queer studies and critical race and ethnic studies. It was evident that the resolution was not just a litmus test of where American studies scholars stood on the question of Palestine, but an index of the ASA’s progressive politics and the intellectual shifts in the field to a more inclusive intellectual and political space. That is, the support for the boycott emerged in the context of the growing centrality of antiracist and anti-imperial scholarship within the ASA. It was also striking to me, as someone who helped found the U.S. Campaign for the Academic and Cultural Boycott of Israel (USACBI) during the Israeli massacre in Gaza in the winter of 2009, that so many American studies scholars and students by then already knew about the boycott’s principles and already spoke the shared language of BDS. Having organized on the margins of progressive movements for so many years, in a context in which the academic boycott was on the fringes of even the Palestine solidarity movement, it was stunning to realize that this political community had rapidly expanded in just a few years and that the ASA resolution simply allowed this force of solidarity to come into being, to announce its presence publicly. This was also evident to me at the ASA conference in November 2012 in Puerto Rico, which occurred during yet another Israeli assault on Gaza, where several ASA members congregated at a table the Activism Caucus had organized to share information about the boycott and conditions for academics and students in Palestine. It was clear that U.S. scholars were beginning to feel the weight of responsibility for U.S. unconditional support of Israel, and the complicity through silence of the U.S. academy thus far. One of the major counter-arguments levied against the academic boycott movement is that it silences academic freedom. The rub here is that this counter-offensive is concerned only with the academic freedom of Israeli scholars, erasing the degradation of academic freedom—as well as of other freedoms—of Palestinians. This argument disappears Palestinians, and it also evades the assault on academic freedom of U.S. scholars and all those who speak openly about the Israeli state’s violence and racism, including dissident Israeli academics. Supporters of the academic boycott have thus tried to argue, as elucidated in the AAAS and ASA resolutions, that the boycott enlarges academic freedom for all. 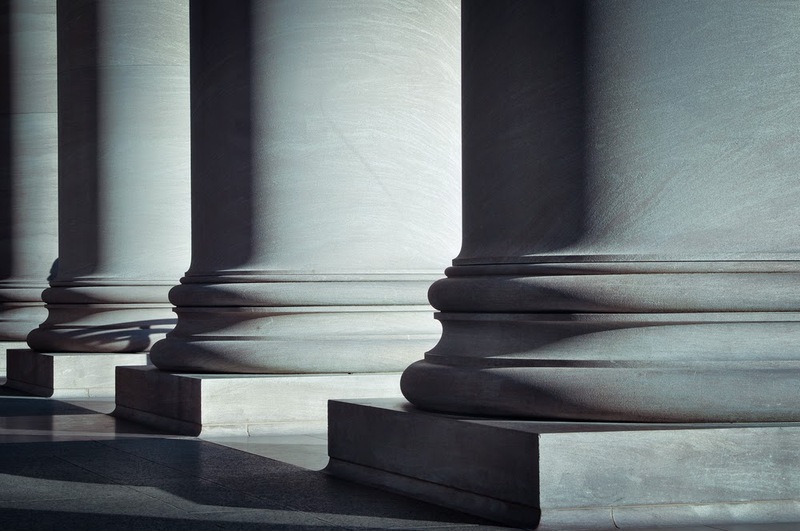 But what I found most striking—and troubling—about the counter-campaign waged against the ASA in the months following the resolution is that in many cases, it did not rest on an argument based on academic freedom, but on racism and elitism. Many of the vitriolic or agitated letters, emails, and editorials that poured forth by opponents of the academic boycott—some of whom claimed to be critical of the Israeli occupation—was that the boycott was anti-Semitic, targeting only Jewish scholars and the Jewish state. As foretold in the Introduction of The Imperial University, the politics of the AAUP and its president, Cary Nelson, became increasingly more apparent in their public denunciation of the boycott resolution and concerted pressure on the ASA to follow the AAUP’s line. Some articles and letters denounced the ASA for not being respectful of the wishes of past presidents of the ASA who opposed the boycott, charging that it emerged only from a “small but vocal minority” within the association. Other letters and emails were blatantly racist, homophobic, and xenophobic in their attempt to silence and intimidate ASA members and supporters. The racial and sexual politics of the institutionalized apparatus of academic freedom as pitted against an association that had increasingly become a space for radical (and anti-Zionist) scholar activists, and notably academics of color or those working in critical race studies and queer scholars (including those in the ASA leadership who endorsed the resolution), were disturbingly apparent. That is, the academic boycott battle is part of the larger cultural and racial wars in the U.S. academy and challenge to the academic “establishment.” The academic boycott and BDS movement has become a new front in the attempt to move forward the discourse around settler colonialism and apartheid and confront U.S. complicity in imperial and racial violence, linking Palestine to broader structures of racism and annihilation. I should also note that the opening up of space for discussion of the boycott within American studies and critical race and ethnic studies has allowed many who distanced themselves from public support of the academic boycott and from USACBI to become active proponents of this hitherto risky campaign. There was a surge of support for the academic boycott and a slew of eloquent and important articles about the ASA resolution and the backlash it incited, including by those who had long mobilized in support of USACBI and as indicated by some essays in The Imperial University. This is a very significant and encouraging development and one that happens in every movement as it becomes more acceptable, and it is heartening to see other academic associations engage in their own discussions of the boycott; this is a movement whose time has finally come, if long overdue. But this emergence of a newly respectable progressive cause also poses complex questions about solidarity and struggle, particularly for U.S.-based academics who enjoy professional privileges and access to media that continue to be denied to Palestinian scholars and activists—not to mention basic freedoms. The academic boycott movement has to be mindful to not use the suffering as well as sumuud (persistence) of Palestinians to erect another stage for visibility or celebrity and to remember with humility that the actions of the U.S. academy are small, if significant, gestures. It will take a long time to visibly mitigate the encagement and erasure of Palestinians. We cannot be complicit in the further erasure of those Palestinians who have for years asked us to speak with honesty and courage about the U.S. state’s complicity with their subjugation. But we can continue to push further to challenge institutional and individual complicity, bullying, and self-censorship, and to enlarge movements for solidarity with those—in Palestine and in the U.S.--who have for years paid the price for the collusion through the silence of the U.S. academy. Sunaina Maira is co-editor of The Imperial University: Academic Repression and Scholarly Dissent, just released from University of Minnesota Press, and author of Desis in the House: Indian American Youth Culture in New York City and Missing: Youth, Citizenship, and Empire after 9/11. She is professor of Asian American studies at University of California, Davis. For more on academic freedom, see Steven Salaita's post on the UMP blog. "The public space of higher education is under siege. 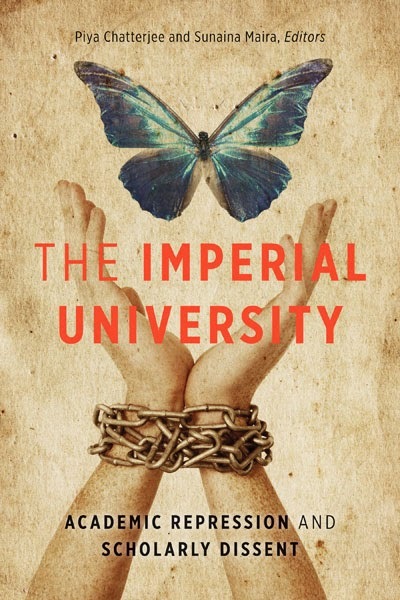 The Imperial University interrogates in brilliant detail the nature of such attacks and the hidden structures of power and politics that define them. But it does more in providing a passionate call to rethink higher education as part of a future in which learning is linked to social change. A crucial book for anyone who imagines the university as both an essential public sphere and an index of what a democracy should be." "Piya Chatterjee and Sunaina Maira’s The Imperial University charts the many ways that institutions of higher education fail to meet the needs of students and the teachers who instruct them. It’s a wonderful, stimulating and anger-inducing book."